Smalley offers over 1,000 Constant Section Rings from stock in both carbon and stainless steel in diameters ranging from .375" to 10". Smalley can also produce these heavy-duty rings with different end configurations to meet your application requirements. Custom designs are available from .200" to 120" diameters. Free samples available for testing. 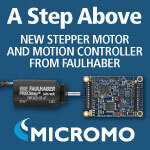 The new MCST 3601 series, developed by micro motor specialist, FAULHABER, and motion controller specialist, Trinamic GmbH, is a programmable motion controller for use with micro stepper motors. The MCST 3601, equipped with a micro controller and driver, can precisely regulate phase currents from 10mA to 1.1A, while operating on supply voltage of 9-36 VDC. This powerful new series of drive electronics for steppers is ideal for applications in optics. If the Army is to maintain its technological edge over potential adversaries, it must improve the way it conducts business with industry partners, said Kevin Fahey, one of the service's top acquisition experts. A key step toward that improvement is Better Buying Power 3.0, which relies heavily on a "modular open systems architecture" or MOSA. Compliance with MOSA requires software and hardware components to be effectively partitioned in their design and functioning or swapped out with minimal effort and cost if new components become available. Get your copy of Digital Manufacturing for Dummies from Proto Labs. In 2007, an elevator began moving upward while passengers were exiting, trapping and injuring an occupant. A drum brake intended to hold the elevator stationary failed, resulting in the unexpected movement. But how did it fail and at what rate -- slowly (preventable) or quickly (probably not preventable)? Veryst Engineering used COMSOL multiphysics simulation to investigate and determine the answer. Rubber and plastic specialist ContiTech (Hanover, Germany) has developed a rear-axle transmission crossbeam from fiberglass-reinforced polyamide BASF Ultramid. The piece (a first for the industry in this material) is used in the new Mercedes-Benz S-Class. 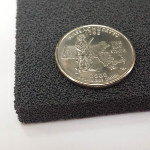 Silicon carbide (SiC) foam, available from Goodfellow, provides the exceptional hardness (Mohs 9), high-temp durability (up to 2,200 C), and performance of solid silicon carbide, but in an extremely lightweight and versatile foam structure. This material has a high thermal and electrical conductivity, and its matrix of cells and ligaments is completely repeatable, regular, and uniform throughout the material, yielding a rigid, highly porous and permeable structure with a controlled density of metal per unit volume. This combination of properties is highly valued in a range of industries, including aerospace, defense, and semiconductor manufacturing. Applications include: high-temp filters, rocket nozzles, heat-shielding elements, heat exchangers, and electromagnetic radiation absorbers. For Subaru's first production model hybrid vehicle, the Subaru XV Crosstrek Hybrid, engineers at FUJI Heavy Industries (Subaru's parent company) reduced test time to 1/20 of the estimated time for equivalent testing on a real-world dynamometer through hardware-in-the-loop simulation. To test the motor electronic control unit (ECU), the team created strenuous test conditions that are difficult to achieve using real machines. Need uniform heat with fast response for applications up to 600 deg C? 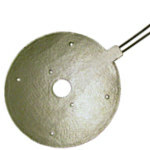 Distributed-wattage etch foil heater elements bonded between a high-temperature mica sheath material might be the answer. Durex developed the Mica High-Temperature Heater Technology for material bonding and laminating applications where temperature profile and thermal response are critical to the manufacturing process. For more than 15 years, Epson Vision Guide has been used in factories throughout the world to allow Epson Robots to "see." Epson CV2 Vision Systems take performance to the next level, providing powerful vision guidance solutions at a value price. 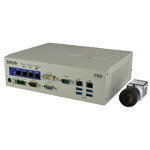 They contain powerful CPUs and vision processing that runs in parallel with the Epson RC90 or RC700 Controllers, allowing for maximum throughput. These systems are easily programmed via the industry-leading Epson RC+ Development Environment. A point-and-click interface reduces development time from weeks to hours, so no time is wasted solving your next robot guidance application. Two core models are available depending on speed requirements. New PEM ReelFast brass surface-mount fasteners from PennEngineering introduce ideal hardware solutions for printed circuit board applications requiring superior electrical and mechanical attachment points. 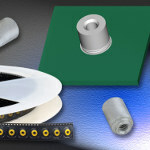 These tin-plated Type SMTSOB brass nuts and spacers/standoffs install permanently on printed circuit boards in the same manner and at the same time as other surface-mount components prior to the automated reflow solder process. They can serve reliably to space or stack boards, mount boards, and/or attach components. Precision motion control systems leader PI (Physik Instrumente) announces the H-845, a new series of preconfigured high-load hexapods. 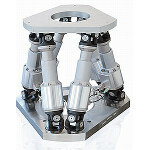 This newest addition extends PI's catalog to 50 standard hexapods covering a large variety of applications, from palm-size units for micro-manufacturing to high-speed motion simulators and vacuum- and UHV-compatible units. The H-845 series provides an easy solution to complex multi-axis precision motion applications with models available in various travel ranges, load capacities, and velocities. At a ceremony at Las Vegas Motor Speedway on May 5, Nevada Gov. Brian Sandoval officially granted the first license for an autonomous commercial truck to operate on an open public highway in the United States to Daimler Trucks North America (DTNA). Developed by engineers at DTNA, the truck holds the promise of unlocking autonomous vehicle advancements that could reduce accidents, improve fuel consumption, cut highway congestion, and safeguard the environment. Y.K. Bae Corporation of Ustin, CA, recently announced that their proprietary photonic laser thruster (PLT) has successfully accelerated a 450-gram (~1 lb) spacecraft simulator with pure laser light for the first time in history. Watch how SHAD, the leading manufacturer of top and side cargo cases for motorcycles, is using the collaborative UR robots for assembly, positioning, and driving in vast numbers of screws. The robot application not only cut production time in half, it also improved the work environment, relieving employees of the most repetitive tasks.